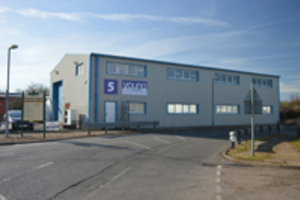 The Young Calibration laboratories were incorporated in 1996 by the present owners and now operate across two laboratory locations and employ over twenty personnel. Both test and calibration facilities are located in Shoreham-by-Sea, West Sussex and provide UKAS accredited (Lab 0604) ISO/IEC 17025 calibration services and thermal fluid component testing to customers throughout the globe. The company has achieved and maintains a reputation for quality, cost effectiveness and flexibility. As our name implies, we are a young, vibrant and professional company employing leading edge technologies throughout the laboratory. We have an unrivaled knowledge and experience within the laboratories field for gas flow calibration, fluid flow calibration air velocity calibration, thermal testing, component cleanliness and particle analysis. The thermal fluids testing laboratory provides customers with a diverse range of facilities for the test, development and durability of fluid system and electro-mechanical components. The laboratory specialises in the thermal characterisation of air and fluid heat exchangers with three calorimetric test rigs and seven durability test rigs for thermal cycling, pressure cycling, vibration and corrosion. The cleaning laboratory specialises in automotive and aerospace cleaning and analysis to the ISO 16232 standard. The facility is housed in an ISO Class 6 cleanroom and offers a broad spectrum of cleaning technologies with online optical liquid analysis, microscopic particle analysis and spectroscopy. The company holds ISO/IEC 17025 accreditation, Calibration Laboratory Number 0604, for the calibration of air flow, water flow, oil flow, air velocity, pressure and electrical calibration parameters, giving customers the confidence that the laboratory operates to defined standards and procedures in a competent, impartial and performance capable manner. UKAS (United Kingdom Accreditation Service) is the only accreditation body recognised by the UK government to assess Calibration Laboratories against internationally recognised standards. The company has held UKAS accreditation since 2002 and continues to expand on its' accreditation schedule to meet the ever changing requirements of market conditions and legislation changes. Mutual cooperation with ILAC-MRA ensures worldwide recognition for its' UKAS accredited calibration services. What are the benefits of UKAS accreditation? UKAS accreditation is a means of assessing the technical competence, integrity and performance of laboratories offering calibration or testing services. UKAS calibration accreditation has many potential benefits for the quality, impartiality and technical deliverance of the organisations calibration services throughout the whole measurement chain. It provides independent regular assessment for the technical competence of its appointed UKAS Calibration Schedule. For suppliers selecting a UKAS accredited calibration organisation it reduces risk management, ensures competent reliable measurements are carried out in compliance with best practices, provides worldwide acceptance to international standards to facilitate export access and helps demonstrate due diligence in the event of legal action. For more information on UKAS and accreditation click to our ISO/IEC 17025 page.